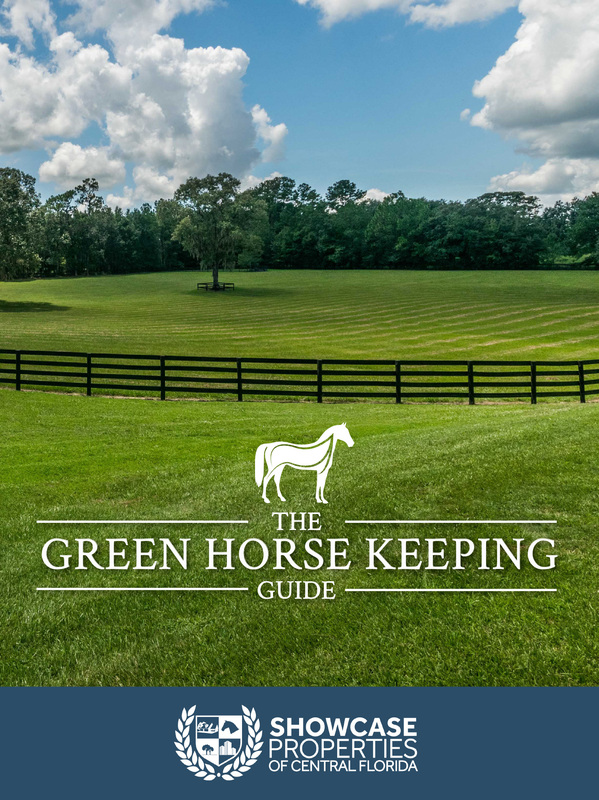 Showcase Properties of Central Florida is pleased to release The Green Horse Keeping Guide, now available to you for digital download. This guide comes loaded with efficient and easy methods to reduce your farm’s carbon footprint, as well as protect the land that supports the local animal and human communities. Our Green Horse Keeping Guide provides educational resources for our clients and community so that the land we love will be preserved for generations of horse and nature lovers to come. Whether you live on a one-acre lot or a 1,000-acre horse farm, this resource is perfect for those looking for sustainable stables. And who knows, it might just save you money in the process. Economical and ethical. A win-win for everyone. Simply fill in the form below and you will instantly be taken to a page where you can download the Green Horse Keeping Guide! The College of Central Florida offers Associate degrees in Equine Studies and Agribusiness. Baccalaureate degrees are also offered in Business and Organizational Management, with either an equine or agribuisness specialization. Equine students learn business and science skills essential for employment in the horse industry. Ocala is the perfect location for this program, with the large and diverse equine community nearby for lab and demonstration purposes. The Florida Thoroughbred Breeders’ and Owners Association is a not-for-profit association with the mission of promoting the breeding, raising, sale, training, and racing of Florida thoroughbreds. FTBOA’s close affiliations with agriculture assist industry members in gaining a greater scientific knowledge of the most beneficial conservation methods as it relates to grasses, soil, and land management for success in Florida. A few of these include the Florida Department of Agriculture and Consumer Services, the University of Florida IFAS, College of Central Florida programs, Marion County Agriculture Extension offices, and other agriculture-related associations. At All-In Removal, we are very excited that we are making a positive impact on our environment. We are proud of the fact that none of the horse manure we handle gets put into a landfill. All of our manure gets recycled in one form or another. By bundling our services, we are able to reduce the amount of trips our trucks take to satisfy the horse bedding needs of our customers. Contact All-In Removal to find out more about bundle services for your farm.